We seldom dine in Holland V as a family though I came here a few times with my friends for lunch. For whatever reason we decided to settle sunday lunch there. After perusing a few menus, we decided to go mexican for a change. 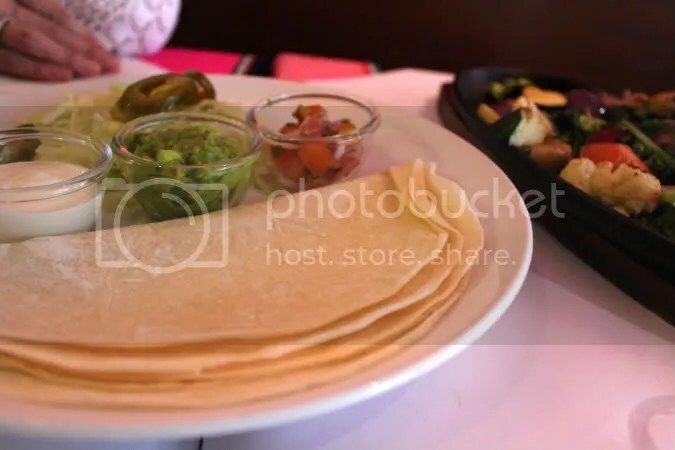 Mum was attracted to El Patio Mexican Rest & Wine Bar (what a mouthful!) so El Patio it was! The only other place we’ve gone for Mexican food is Margarita’s @ Dempsey. The food there always left a good impression especially the gigantic juicy portobello mushrooms with melted butter. 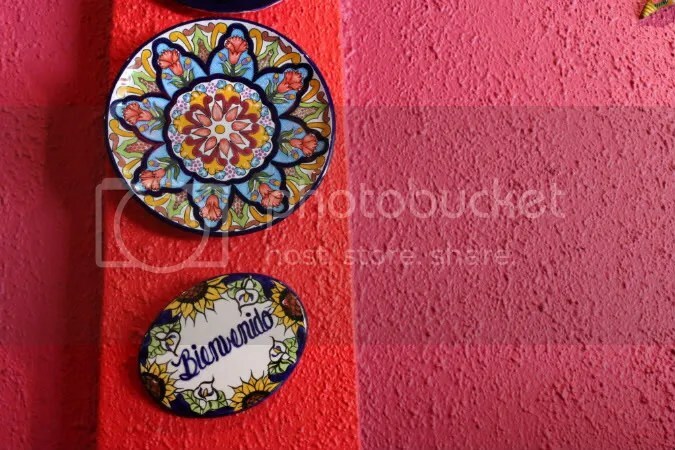 The place is really colorful with all the unique mexican deco. Iy has an interesting casual vibe to it, very unlike the chic atmosphere that Margherita’s has. Perfect for a lazy sunday afternoon. The Complimentary Nachos are made in-house. 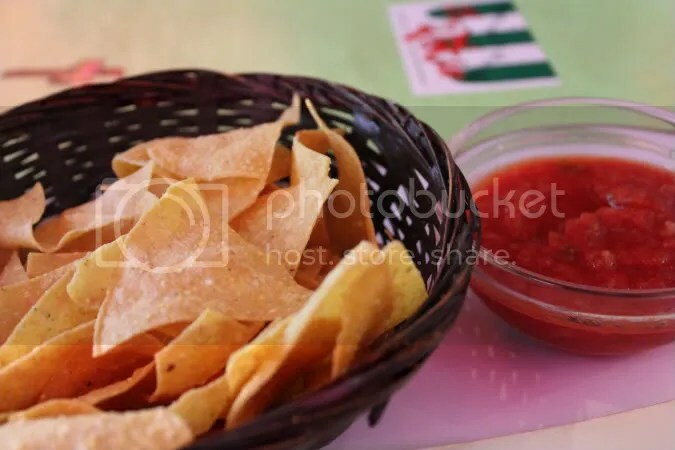 To accompany the tortilla chips, the resturant served a refreshing chilled tomato puree dip seasoned with parprika to add a bit of heat. It turned out to be very very addictive. 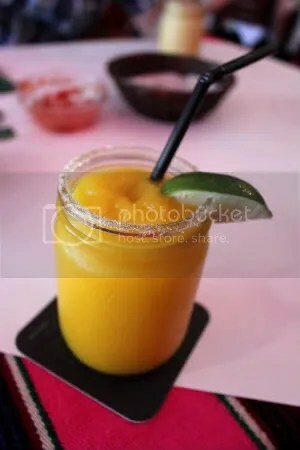 The parents got a Virgin Margarita ($7.50) each, one mango and the other peach. Portions here are pretty huge (no surprises here. This goes for Margarita’s too!) so it’s advised that you share. We got two versions of Fajitas. 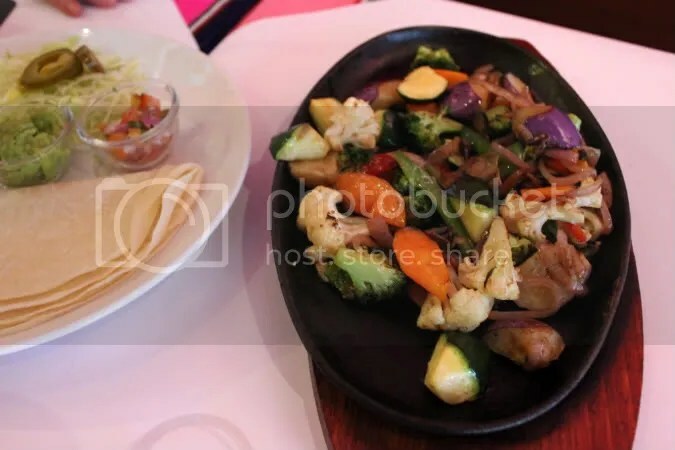 One was a hotplate with a mix of chicken (their bestseller apparently), prawns and beef ($24.50), the other pictured above was a mix of different vegetables ($16.50). They both came with 3 whole wheat tortillas each served nice and toasty. It’s a DIY sort of thing. Just pile on your favourite ingredients and condiments! My first creation. 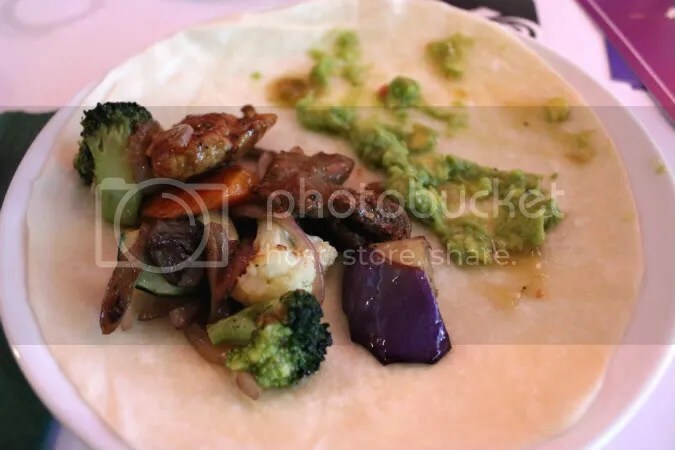 The creamy avocado mash went so well with the chewy tortilla. I practically wiped out all of it later on when I realised the parents weren’t very taken to it. I like the well marinated chicken pieces too, tasty stuff. Thank goodness we got one plate of greens to balance out all the meats! It was a good combination. 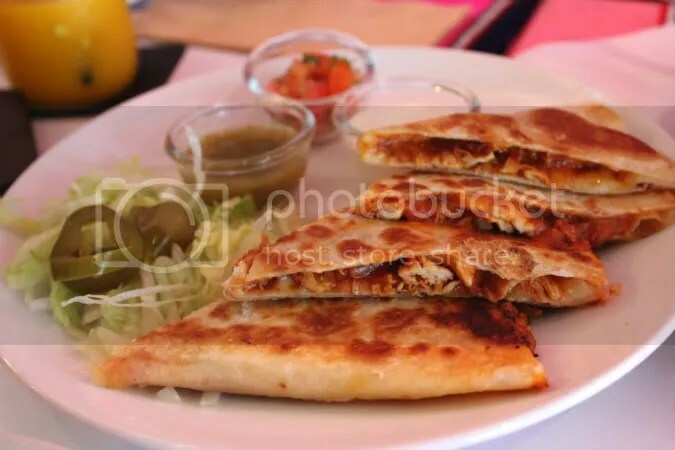 Our appetizers of Chicken Quesadilla ($14.50) was ironically the last to arrive. On hindsight we shouldn’t have ordered this. The nachos were filling enough as an appetizer. The dish tasted like thin prata wrapped with tender pieces of chicken and lots of tomato puree. I liked it during the first few bites because of the crisp outer layers and chewy inner layers that really tasted like prata but got tired of it afterawhile. The wait time for our food was incredibly long. There were only 2 other small groups of 4 before we arrived. 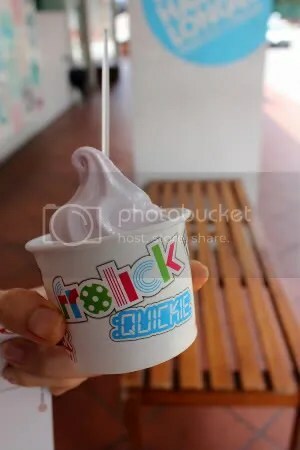 For a cool and refreshing dessert we decided to head down to Frolick. It was a wrong decision really. The blueberry flavour itself was artificial tasting and it melted so quickly. Well, at least it was a cold dessert that provided some respite from the heat. Decent froyo is so hard to come by these days… they are always too sweet or taste artificial. Frolick is no exception.